What is Action-Gating? And How Can I Use it to Drive Results on Facebook? Did you hear, Facebook is dropping like-gating, or more to the point they will no longer allow companies to practice like-gating. If you have not heard, about Facebook’s decision to prohibit the practice of like-gating on its site, read on. On August 7, Facebook announced an update to its Platform Policy to prohibit the practice of like-gating — or requiring someone to like your Facebook Page in order to receive an incentive. Facebook has given businesses 90 days (until November 5, 2014) to comply with this policy change. If you’ve been on Facebook for a while, you won’t be surprised to hear that Facebook has undergone a lot of changes in recent years. As Facebook grows, the social media company has come to understand how important ensuring quality connections between users — and the businesses and organizations they follow — is to their own long-term success. One of the ways that they have done that is with the News Feed algorithm, which controls the content users see in their feed. Facebook uses a series of factors to determine which content users will find interesting, and as a result, only show your content to a portion of your Facebook audience. The removal of like-gating takes that a step further. Facebook believes that if people like your page only to receive an incentive, then they may not be engaged or interested in what you’re sharing after the promotion is over. Instead, Facebook wants businesses to encourage customers and potential customers to like their page without requiring them to do so. They believe that this will allow you to build a fan base that is more engaged, and as a result, more likely to interact with your business and act on the content you share on Facebook. How does the change impact your business on Facebook? Well you will want to take steps to update both your Social Campaigns product and your Facebook Fan Promotion campaigns prepare for the November 5 deadline. This change in particular will affect those people who like me use Constant Contact to collect an email address from new fans after liking my Page. The belief being that the best way to build a meaningful relationship with fans on Facebook is to move them beyond liking your page and onto your email list. This allows you to take ownership of your contacts. It also keeps you from having to worry about further Facebook changes that make it difficult to reach your audience. So while we they will be removing the ability to like gate a piece of content, coupon, or sweepstakes; You can still continue to make it easy to grow your email list on Facebook with our email action gate. What is an action gate? 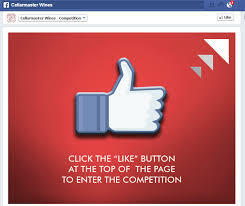 With an action gate, you can still require users take some specific action before redeeming a coupon or entering a Facebook contest, without forcing them to like your Page. There are a number of benefits of using an action gate on Facebook. One of the biggest benefits is that you’re able to engage your current fans beyond the traditional like, comment, or share. This means that you’ll not only have the opportunity to grow your email list, but you’ll also be able to strengthen relationships with the people who like your page and even turn them into new or repeat customers with an exclusive offer. In addition, action gates allow you to think differently about the campaigns you decide to run. While like-gated offers limit your ability to extend your reach beyond Facebook, action gates allow you to easily promote your offer across different channels and drive people to an offer, hosted on your Facebook Page. This is a great opportunity to encourage your connections on different social channels to like your Page, without requiring them to do so. Even if they don’t choose to like your Page at first, you can still use email to continue the conversation and potentially include links back to your page in future messages. Capture leads on Facebook with an exclusive download: While a like gate only allowed you to add new fans, an action gate allows you to capture new leads on Facebook and nurture them with email. One of the best ways to capture a new lead on Facebook is to offer an exclusive download with helpful information. After adding a new contact to your email list, you can easily send a follow up email with more information, or even create an autoresponder email series to help introduce them to your business. Turn current fans into paying customers with a special offer: Because you’re not just focused on adding new fans, an action gate is a perfect way to reward current fans with an exclusive offer. We all know how difficult it can be to turn all those likes, comments, and shares into actual business results. Think of a special discount your fans would love and promote it to your fan base. After providing their email address, they will receive a coupon in their inbox. Run a sweepstakes and keep the conversation going: With an action gate, you can run a sweepstakes on your Facebook Page that people can enter by providing their email address. When the winner is chosen, you can contact them via email and even reach out to non-winners after the contest is over. You can create a separate list within Constant Contact, and send targeted emails to introduce new subscribers to your business. You can also reward non-winners with a separate offer, and encourage them to visit your store, restaurant, or office. There are a number of ways you can use action-gating to drive real results on your Facebook Page. The use of like-gating will end on November 5, but you can start planning your action-gated campaign today.